Imagine you’re in a crowd pouring out of a late night concert. Tired and hungry, you remember the cupboards at home are bare. Do not despair. 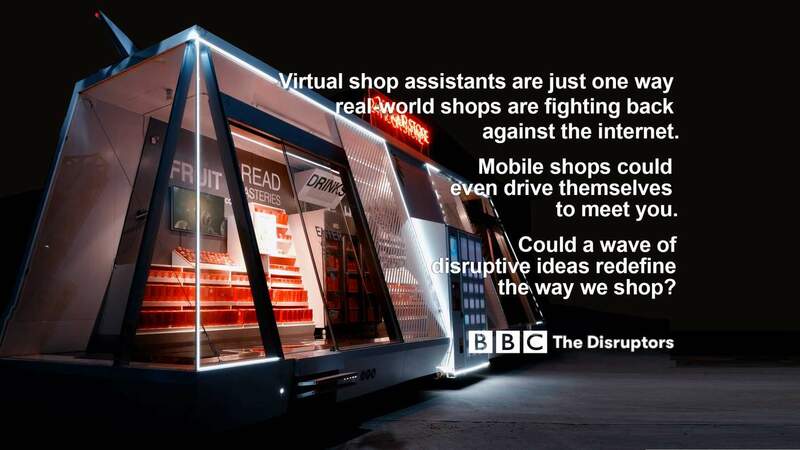 In the brave new world of retail this won’t necessitate a trek out to the nearest late night supermarket. Instead the shop can come to you. 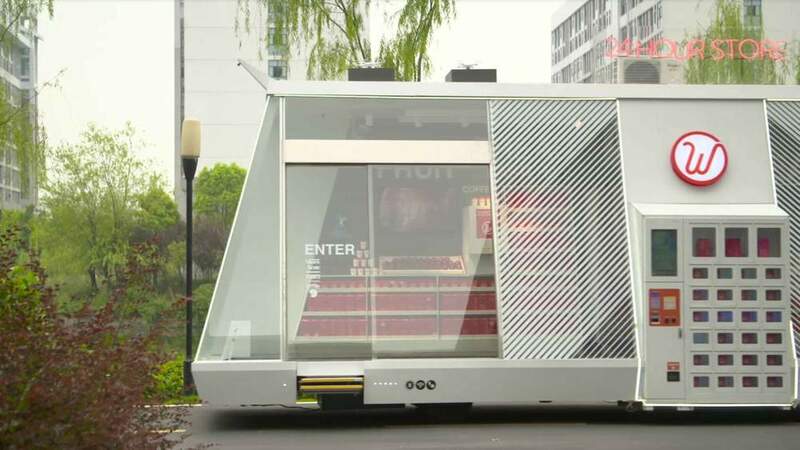 With the touch of an app button, you hail a low-slung electric vehicle, like a glass-sided motorhome, which quietly glides into a parking space near you. 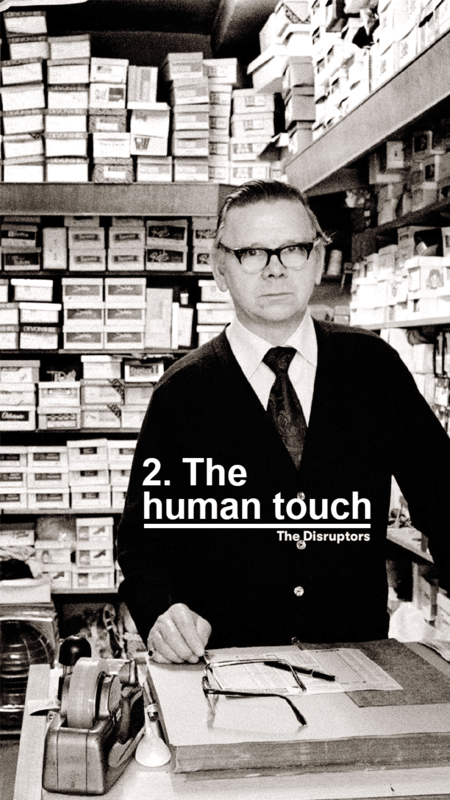 You enter the shop by swiping your mobile phone at the door, pick up your wares and swipe out again. There’s no cashier or sales assistant, and no-one to clean up if you drop a carton of milk on your toe. 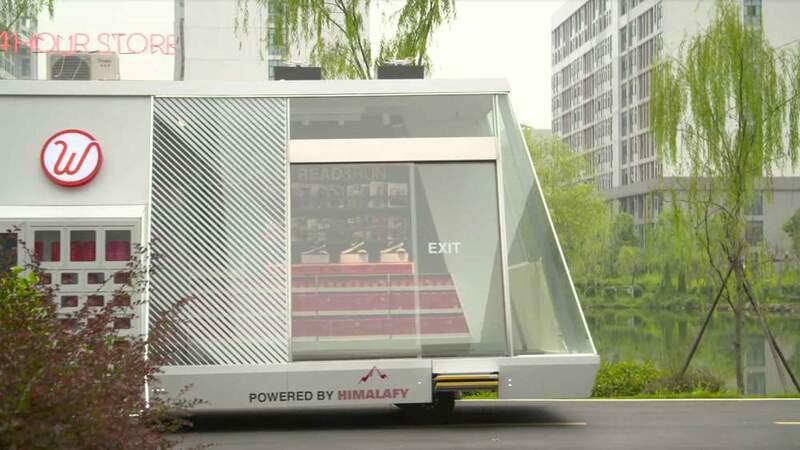 The Moby Mart is one vision of the future that has had its first test-run on the streets of Shanghai. 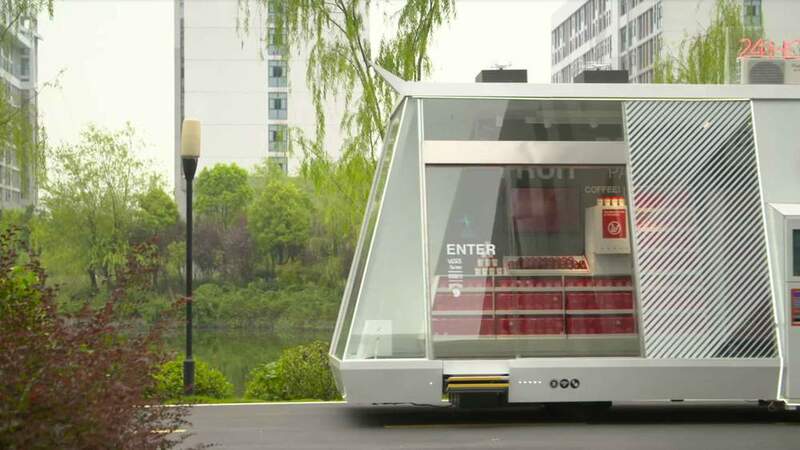 The self-driving software is not yet operational and sometimes this beta-version needs a helping hand to keep it on the move. 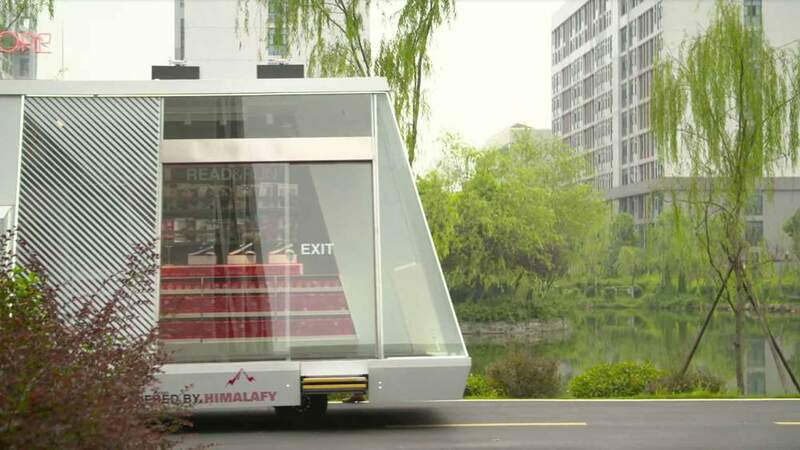 But the concept is there, says the team behind it, the Swedish start-up Wheelys in collaboration with China's Hefei University of Technology. 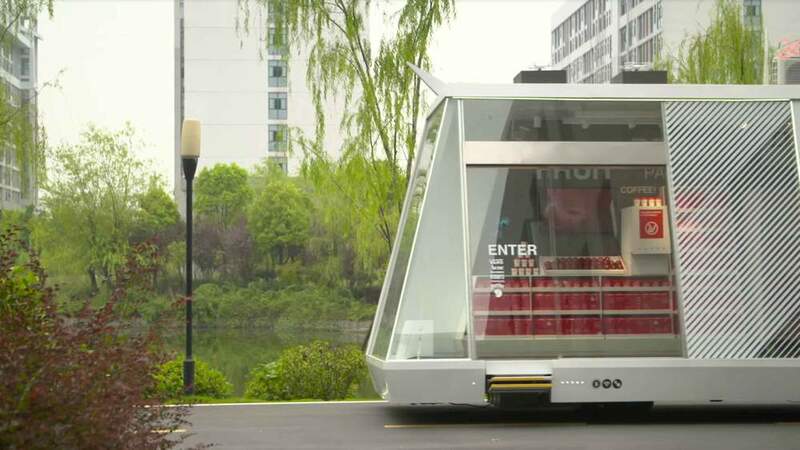 They predict a future in which everyone, from big retailers to small communities, will employ their own mobile, automatic grocery. 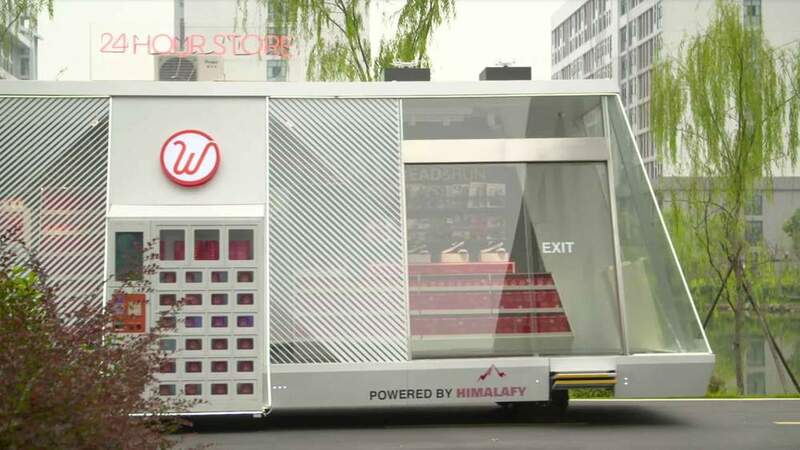 Bo Wu, Moby Mart’s chief technology officer believes we’re on the cusp of “a big revolution” in retail. 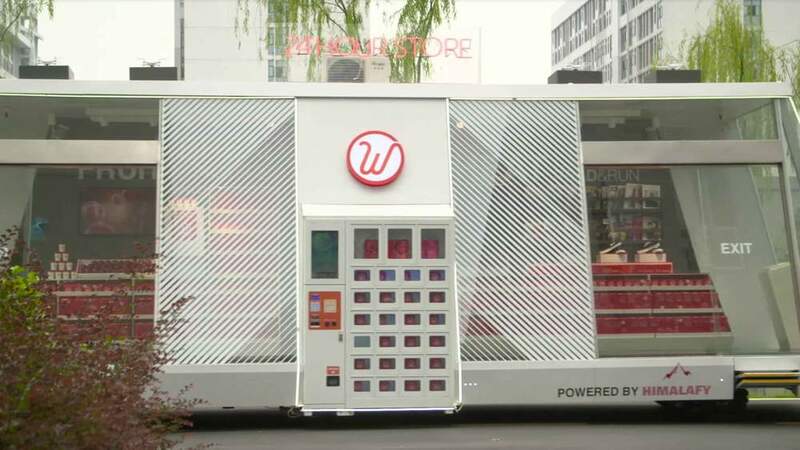 Taking developments in self-driving vehicles, mobile payments, data analysis and wireless tagging of stock - all established technologies - there’s a huge potential to overhaul the shopping experience. 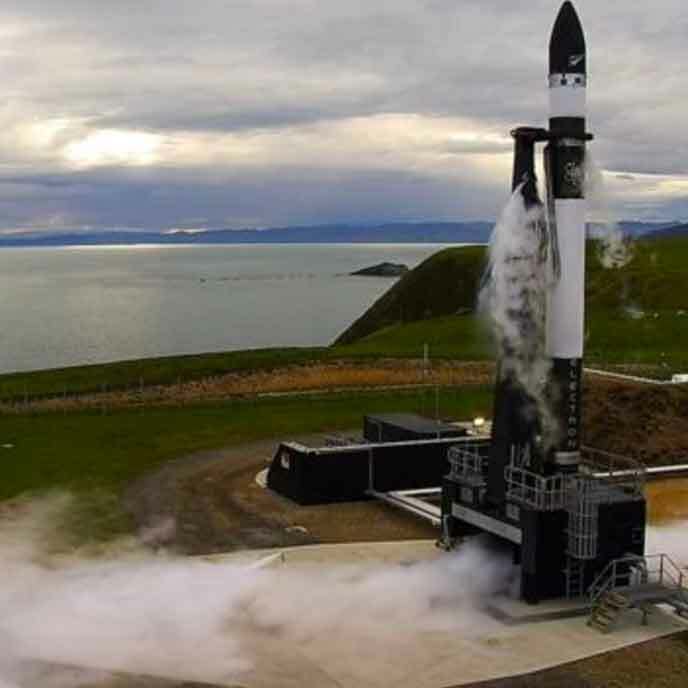 While this is the kind of technology currently being road-tested as the ground gives beneath traditional town centre chains, department stores and the big shopping centres, it’s still very much in its early stages. 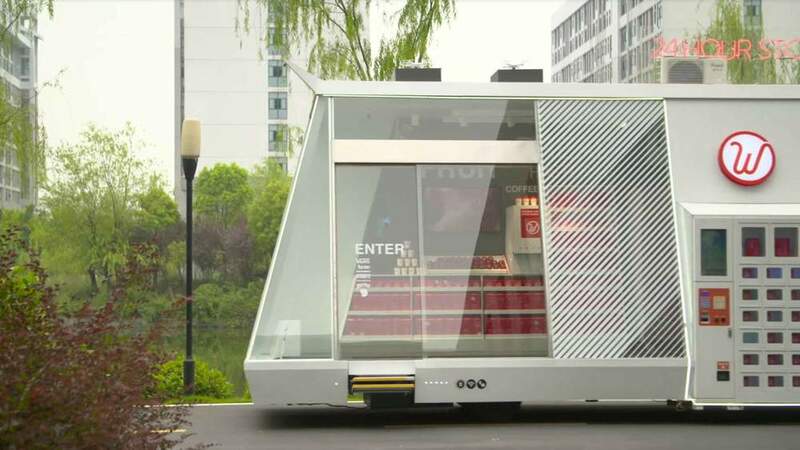 There are lots of hurdles – not least regulations on driverless vehicles - to overcome before it becomes reality for an automatic shop to trundle around to where shoppers want it, or to drive itself to be restocked at a warehouse, before trundling out once more. So far, two Moby Marts have been sold, which the company expects to be in operation early next year. 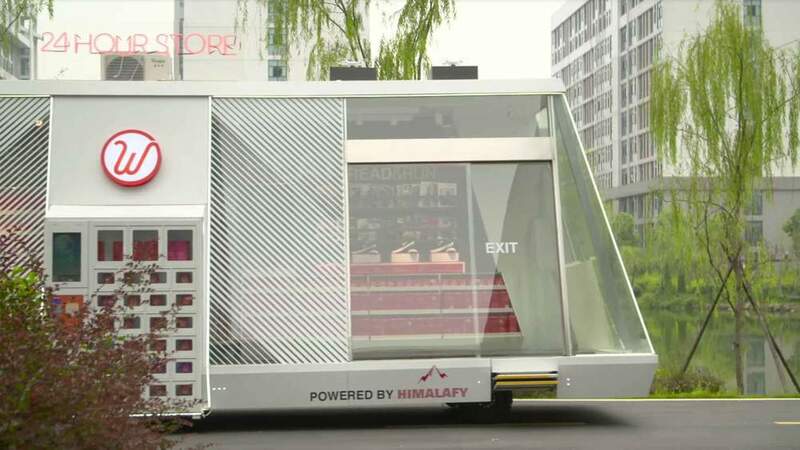 But other new models of retailing are rapidly being rolled out, integrating the advantages of digital technology into the real world. 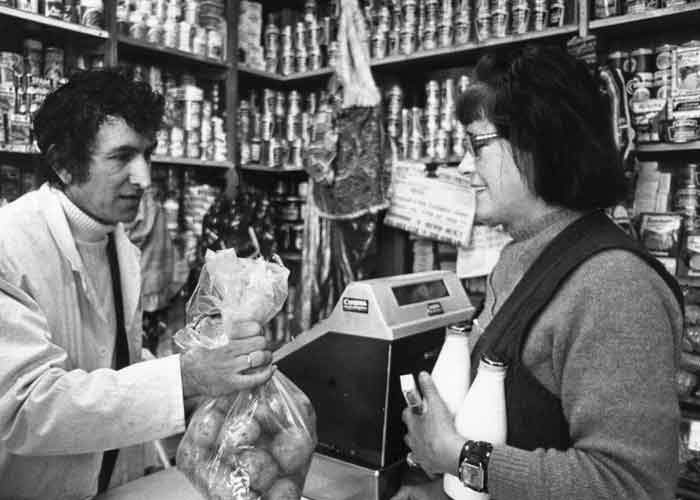 Shoppers used to chat about the weather, catch up on gossip, and generally take their time, while their every purchase passed through the shop assistant’s hands before being wrapped and packed into a shopping bag, ready for the bus journey home. And of course people haven’t stopped shopping (or gossiping) despite the relentless headlines of shops closing, even by US stalwarts like Sears and Macy's. But the rise of online shopping has turned retail upside down. People are increasingly at home with digital shopping and value its convenience, speed, low prices and responsiveness to their preferences. 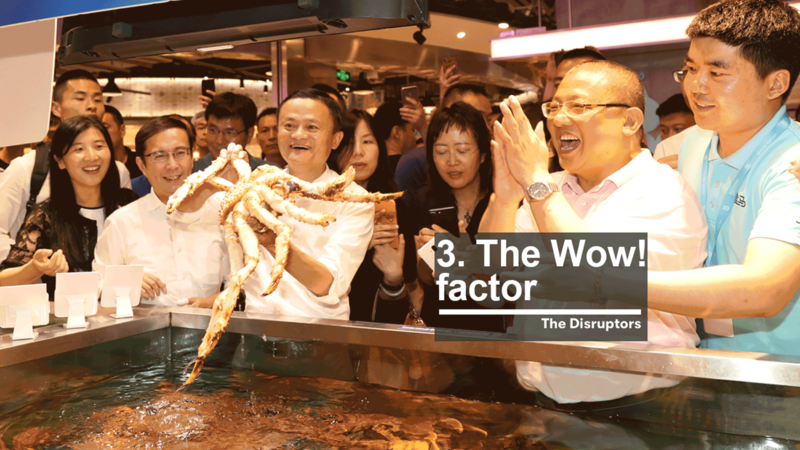 Global giants like Amazon and Alibaba are seducing customers at a phenomenal rate. 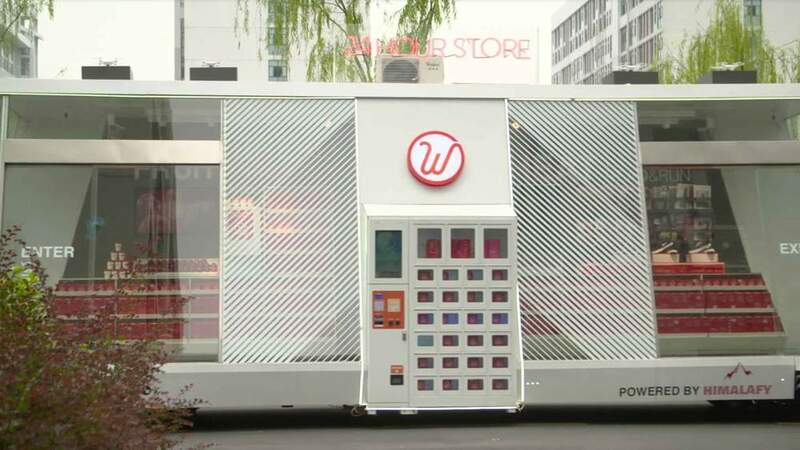 But because many people still love to go to physical shops too, retailers, both on and offline, are realising that the answer lies in working out how to offer the best of both the physical and digital worlds. And if even Amazon has decided, first with a few real-world bookshops and now with its purchase of 460-store-strong US grocery chain Wholefoods, that it’s worth having a network of bricks and mortar outlets, then surely it’s not all over yet for the store. 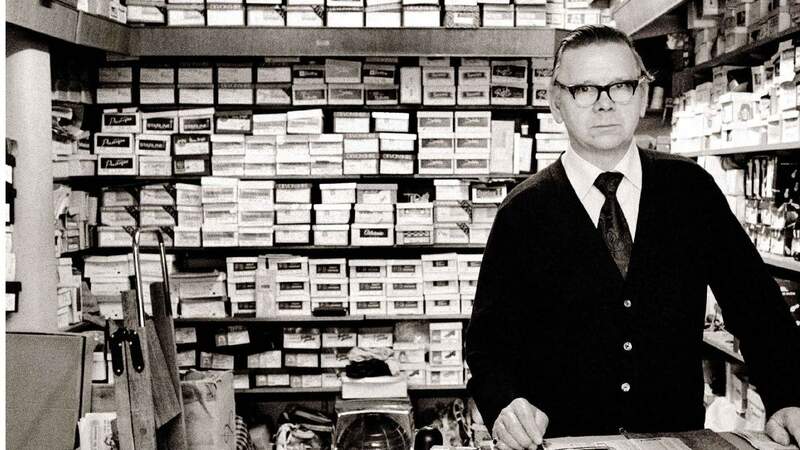 Even if it is 'the store' as we've never known it before. 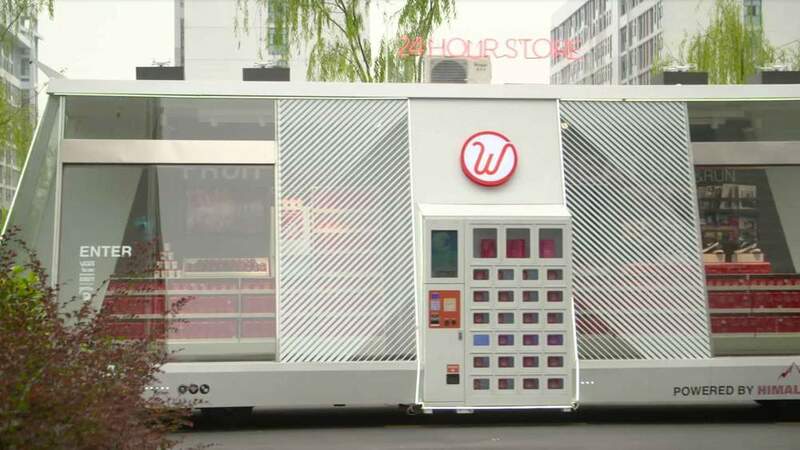 It’s not just Moby Mart’s creators who think the future may lie in making shopping an experience which is completely free of human contact. 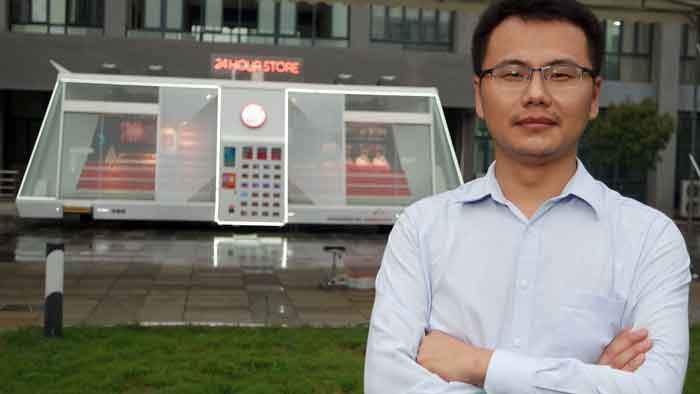 BingoBox already has more than 150 static automatic shops operating in China and predicts thousands more over the next few months. Each offers 10 square metres of floor space, stocked with a range of items from fresh salad to condoms, crisps to umbrellas. Customers swipe their mobile phone to enter and scan each item and the bill is settled using an online payment system. An assistant is available via video-link if necessary. All of this means it only takes four members of staff to run 40 stores, according to the company, cutting running costs significantly. 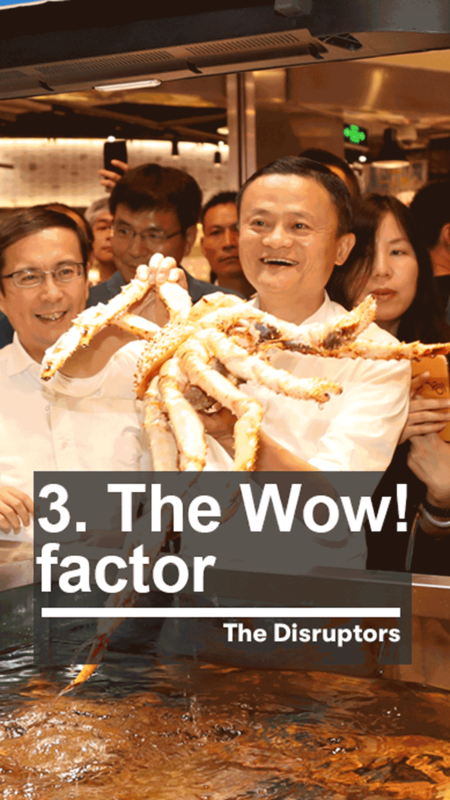 In July, China’s online behemoth Alibaba also experimented with the idea, launching a pop-up café with no cashiers, under its Taobao brand, which used facial recognition to identify the bill payer as they entered, then allowed them to pick out what food they’d like to eat, and pay using a quick scan with their mobile phone. 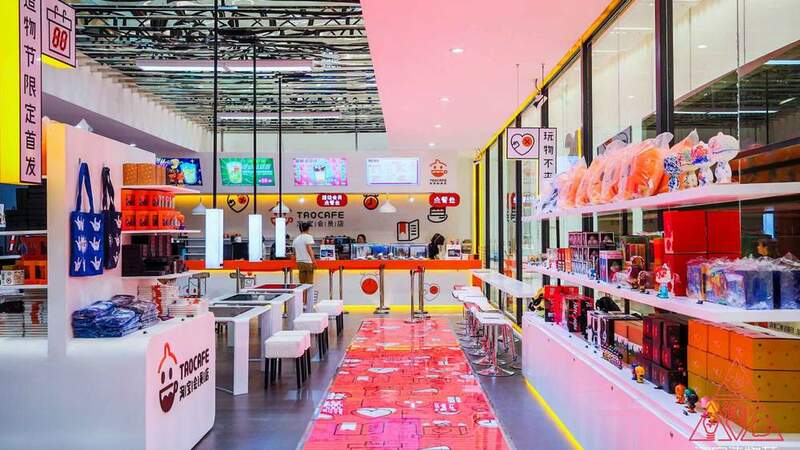 For Alibaba the Tao Café was another way of exploring how to remove hurdles and costs to bring the online and physical shopping experiences closer together, as the group’s general manager in Europe, Terry von Bibra, told the BBC. 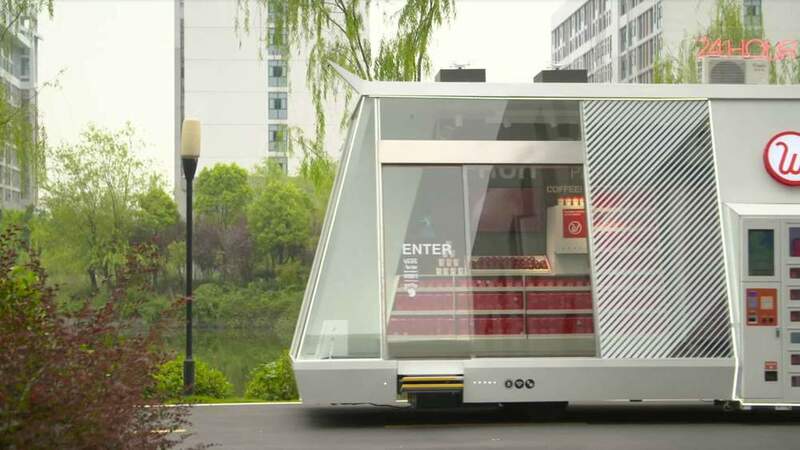 Indeed, Chinese firms are forging ahead with the cashierless store concept, leaving the rest of the world trailing for now. 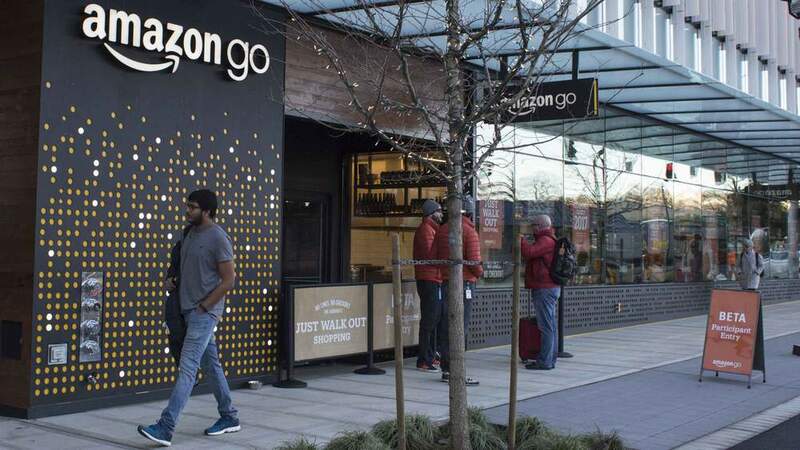 Amazon, known for revolutionising the industries it enters, from books to electronics, opened Amazon Go, a trial bricks and mortar food store near its headquarters in Seattle in December 2016. 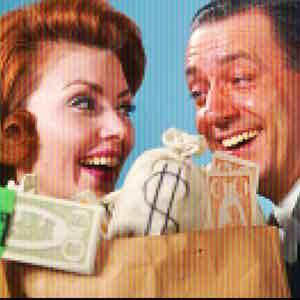 It has no staff, and goes one step further than BingoBox by also eliminating the checkout. Customers walk in, scan their mobile to register their arrival and then drop products directly into their bag. 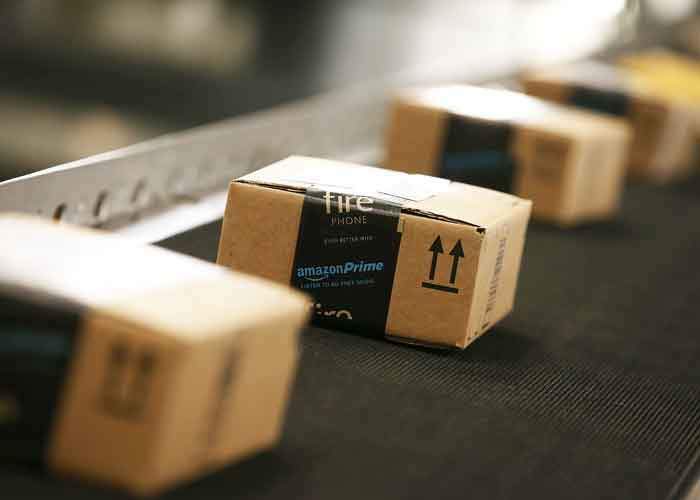 When they leave the store, sensors recognise what they have picked up, and payment is collected through their Amazon account without further interruption. Currently the shop is only for Amazon staff, and no plans have been announced that it is to be opened to the public. “Amazon has had teething problems with Amazon Go,” says Neil Saunders, managing director of GlobalData Retail. 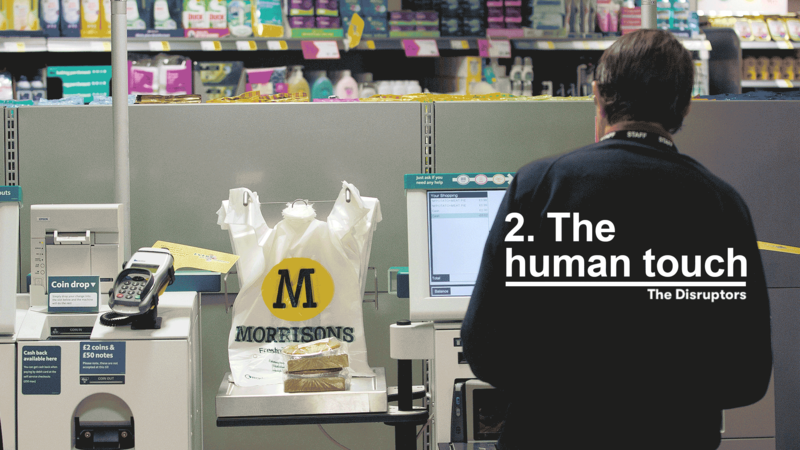 But while the brave new world of cashierless shopping may not be arriving tomorrow, Mr Saunders believes it will come, as retailers look at how to reduce costs to compete with online sellers’ low prices. But the trend is unlikely to spread much beyond groceries, he believes. There are other ways too to compete with the purely online sellers, for those who still have faith in the bricks and mortar experience. After all the vast majority of sales still take place there. 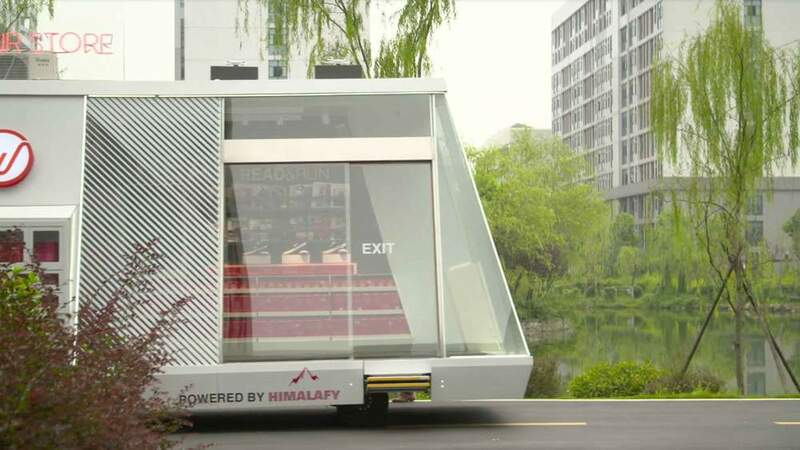 The holy grail is to create an entire retail ecosystem, underpinned by data, that can draw customers in as enthusiastic members of a club, which then caters to all their online and offline shopping whims. 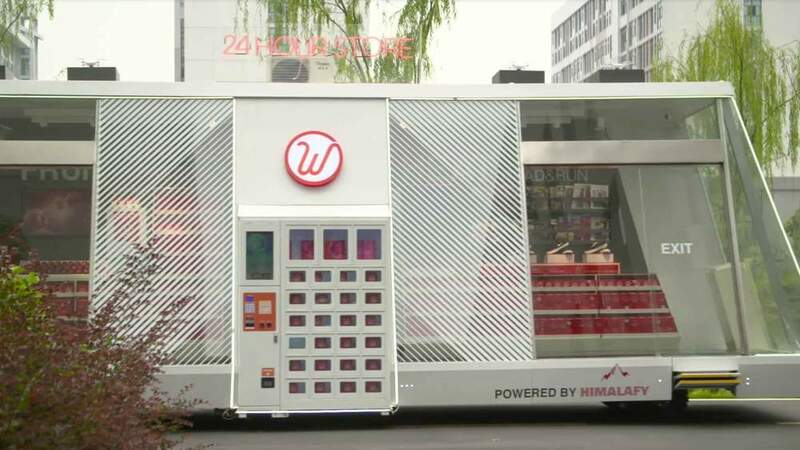 Alibaba is pioneering this strategy in its 13 Hema-branded cashless supermarkets, almost all of which are in Shanghai. 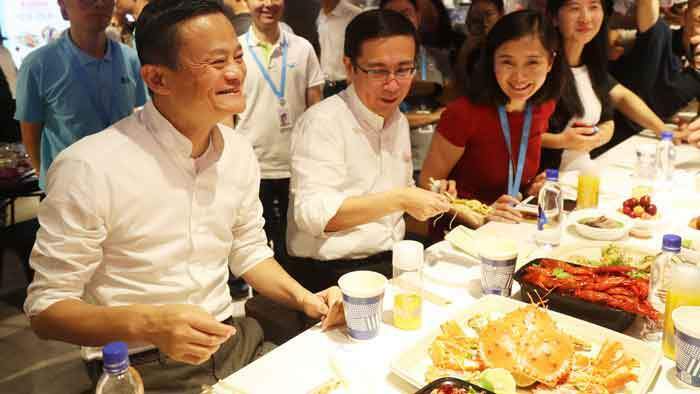 When Alibaba’s founder Jack Ma, visited one of the stores in July he enthusiastically picked out a crab from the seafood tank. 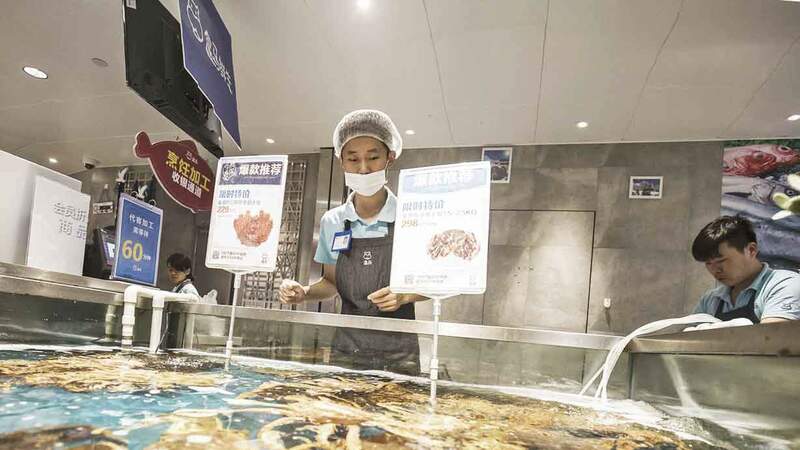 Live seafood is one of the ways Hema hopes to lure customers into its physical stores. 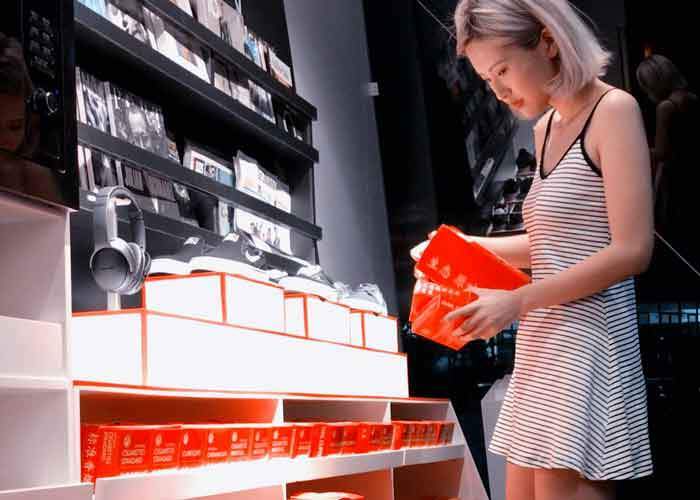 Its shelves also carry barcodes that relay background information, such as product origin, to your phone – a technology that is being rolled out by other retail innovators too. The key is choice: you can opt to have your crab cooked by the resident chef in the Hema restaurant, or take it away. You can order groceries - or a meal - from home, to pick up in person or have delivered, all via one online Hema account. 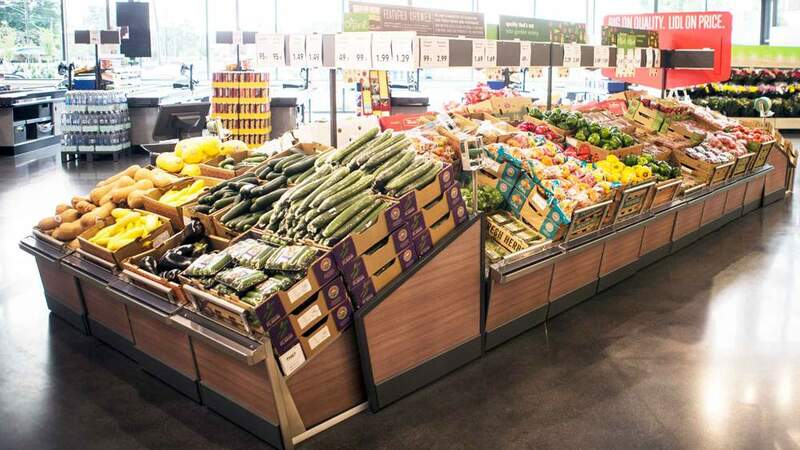 By offering such a range of options Hema aims to bring customers’ food consumption decisions entirely into its fold and it says shoppers are embracing the idea. But can it turn a profit? 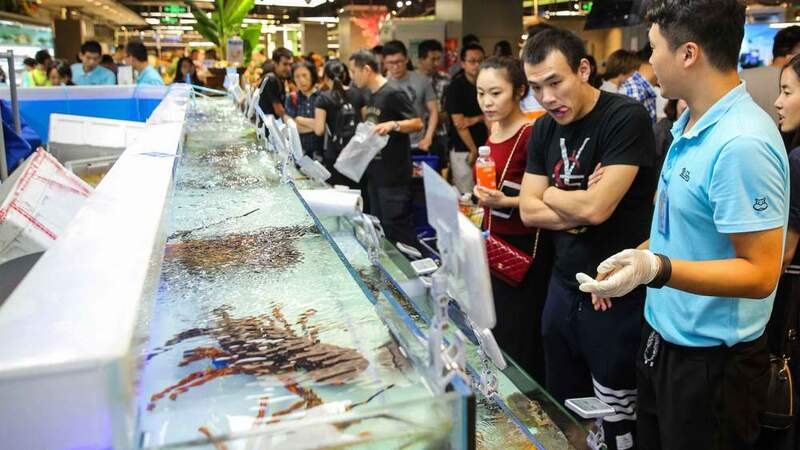 "Absolutely," asserts Terry von Bibra, "because in a market like China in the right locations within three kilometres there's a huge number of consumers. If you service their needs right you're going to have a huge business, and that's what we're seeing so far." 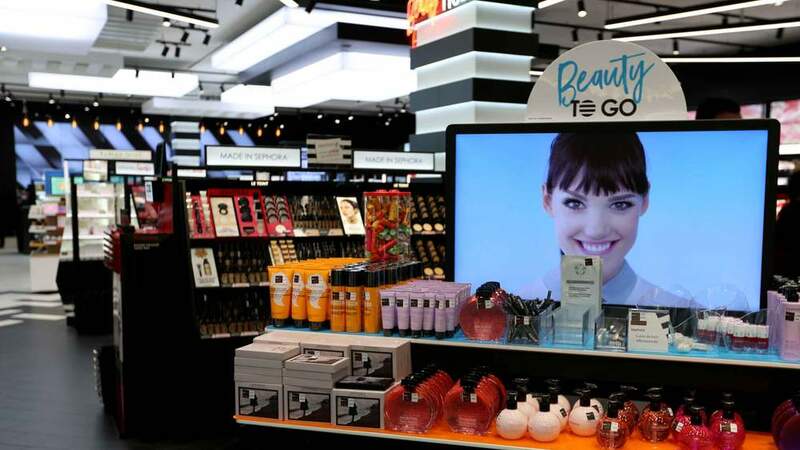 Also blurring the line between in-store and online is French cosmetics chain Sephora, which has shops across several continents. 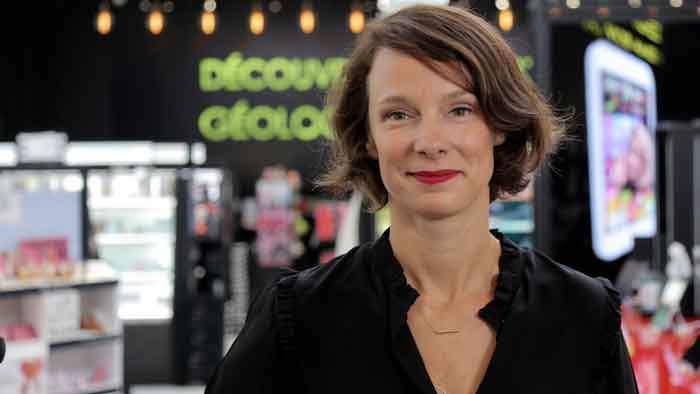 “The whole industry is going to be shaped by digital so we will all need to adjust and it’s also a fantastic way for us to enrich what is happening in the physical store,” says Stephane Delva, Sephora’s director of marketing for Europe and the Middle East. Sephora is using technology to increase what they like to call the “wow” factor of shopping there. 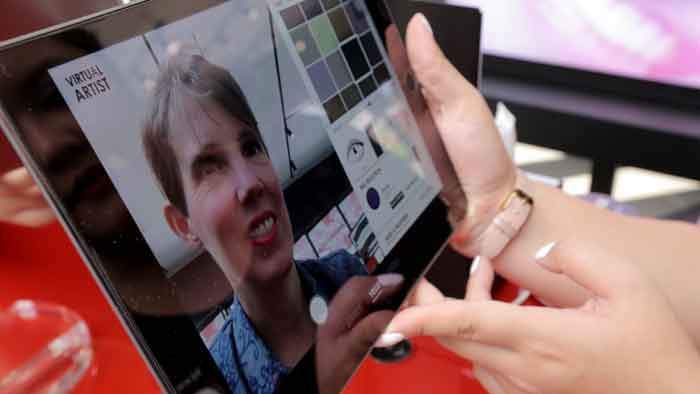 Augmented reality software on iPads allows shoppers to try on different shades of blusher, eyeshadow and lipstick to decide what suits them before sharing a snapshot on social media. 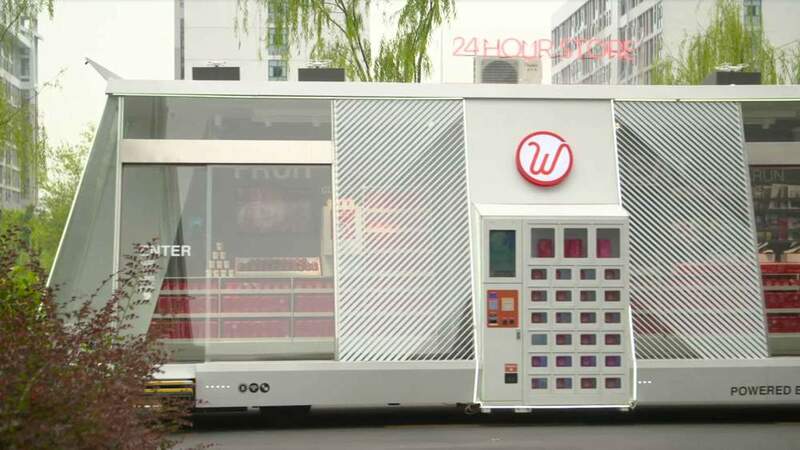 They can use a giant touchscreen to order the products they're playing with for home delivery. 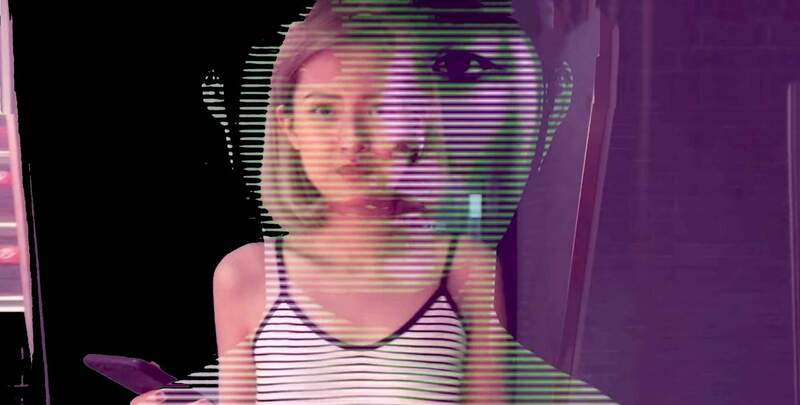 In many ways the strategy is playing catch-up with what younger customers already do online: from make-up apps and online tutorials, to chatrooms and Snapchatting their latest “look”. But it’s an impressively comprehensive approach from a retailer rooted in the physical world. 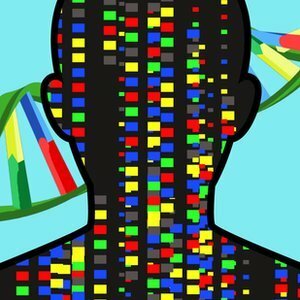 Consumers are invited to join the “MySephora” digital community where the firm can track what they buy, what they discuss, and what they like, creating a goldmine of useful data. We gather all your past shopping details to be able to guide you and to suggest the best products for you." There are still only a handful of Sephora stores offering the complete online-offline experience. The virtual reality available online and on the app still lags behind the in-store version, and at times technical glitches still hold up what should be a seamless customer experience. But as the strategy rolls out, Ms Delva says Sephora is partnering with Paris-based IT start-ups to ensure the firm can keep abreast of the inevitable fast pace of change in this area. But for all the shimmer and sparkle of a cutting-edge digital strategy, there’s a final area it pays not to ignore. 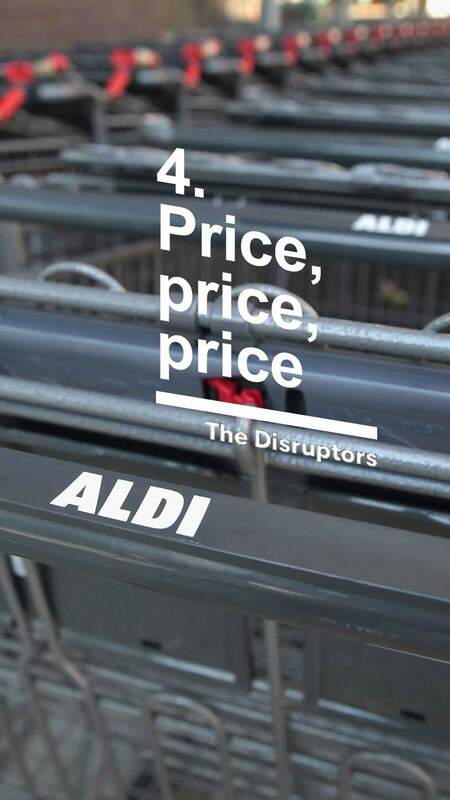 One of the most disruptive influences in the retail market in recent years has come not from swiping phones or crunching data, but from the tried and tested formula of undercutting your rivals on price. German discounters Aldi and Lidl offer no-frills basics, plus an eclectic, ever-changing range of non-food items, adding a bag-a-bargain lottery element. 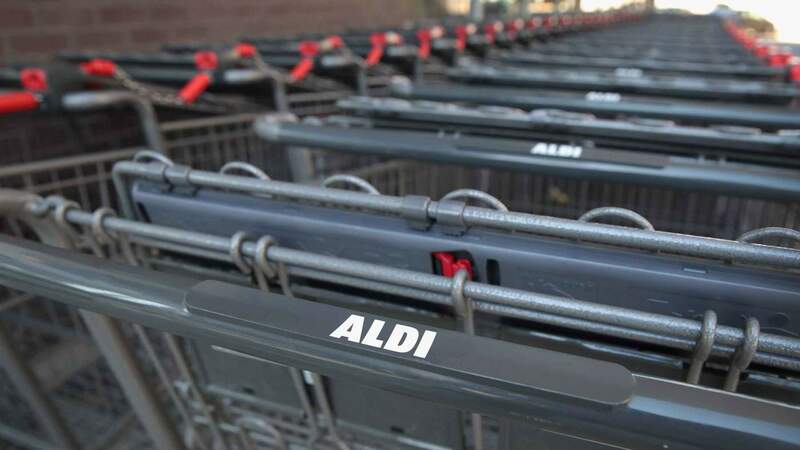 Not content with eating into traditional grocers’ market share in Europe, Lidl has recently made its first foray into the US, opening 21 stores so far this year, joining Aldi which already has more than 1,600 stores. 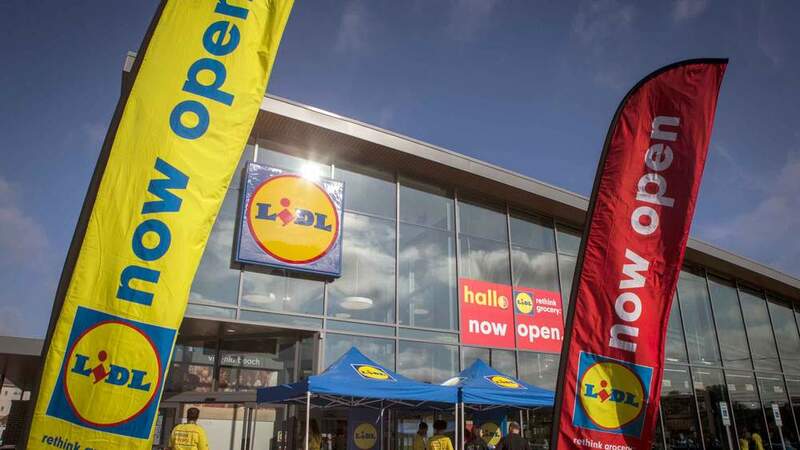 “We’ve made a lot of adaptations to the market in terms of product, in terms of layout, in terms of the building itself,” says Lidl’s US spokesman Will Harwood. So while the grocery sector is already quaking at the prospect of the Amazon-Wholefoods tie up, and Walmart has recently announced it is linking with Google to offer voice-activated shopping, a simpler, non-digital offering from the discounters will add to the pressure. 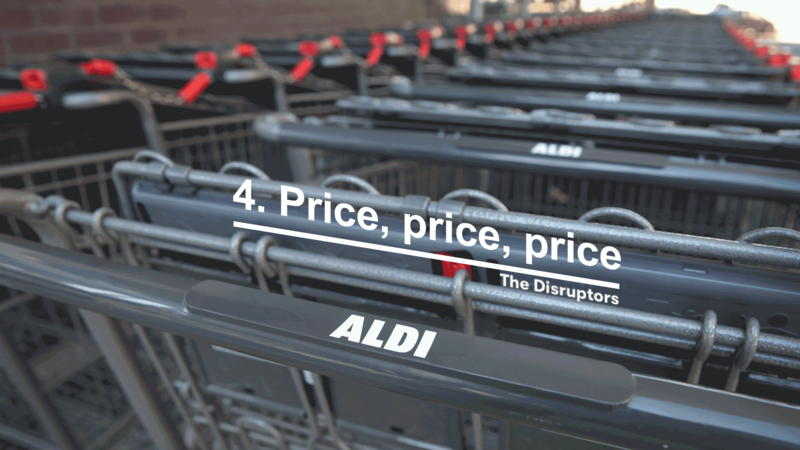 “Lidl is viewed as a very disruptive player,” says Joe Feldman, assistant director of research at Telsey Advisory Group. Nevertheless, the challenge for Lidl is huge. It's still a tiny player and the established grocers are fighting back against the company's arrival, which was keenly anticipated. Lidl’s strategy will be about persuading American customers, currently dedicated to brands from Heinz, Mondelez and the like, to try their less expensive, non-branded lines while keeping a lid on costs. By controlling ingredients and exploiting economies of scale in the size of their orders, Lidl can keep the prices of its own- brand products low, says Mr Feldman. And they’ll cut costs in every way possible. One thing they won’t do though, he predicts, is get rid of their cashiers altogether.